A special Movie of the Day to commemorate the passing of global icon Nelson Mandela yesterday at the age of 95. 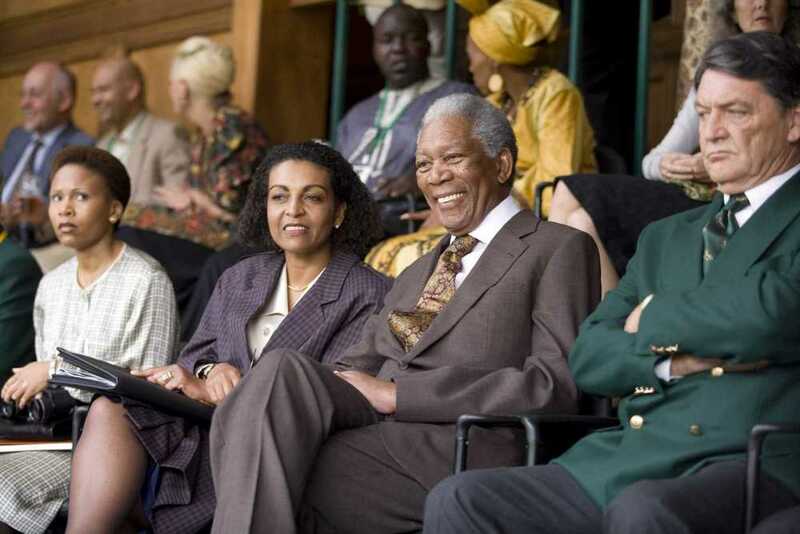 This film from 2009 stars Morgan Freeman as the South African leader, and he gives a terrific, Oscar-nominated performance in this behind the scenes true story about Mandela's early days in office after he was elected president. In a move to unite the country in the new post-Apartheid era, he worked to help the mostly white South African rugby team win the World Cup, which he was convinced would garner national pride and unity between black and white citizens in South Africa. It's a well acted, very moving story directed by Clint Eastwood in his typical understated manner, and leaves you feeling heartwarmed over the unlikely success. A perfect movie for today.